Happy Tuesday everyone... I hope you are all having a great week so far!! 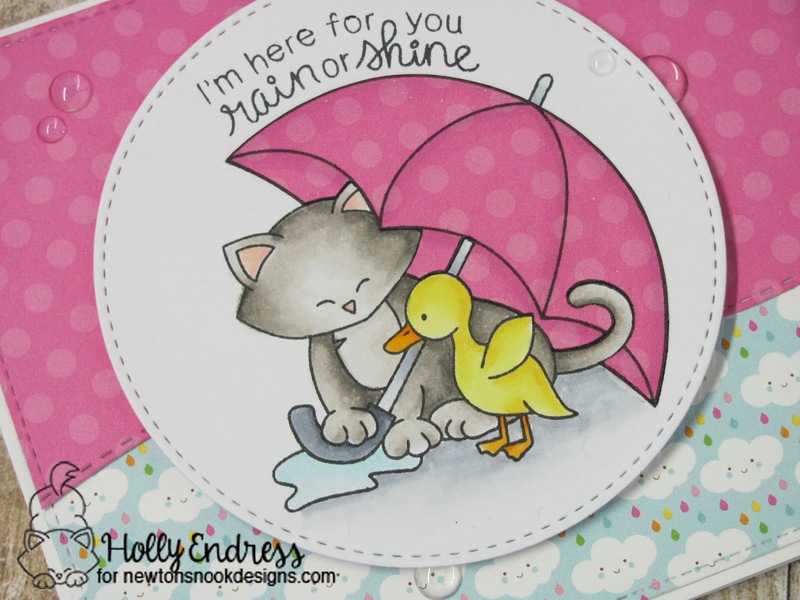 I'm up on the Newton's Nook blog today with this cute card featuring Newton's Rainy Day from the March Release. There's also I video showing how I created this card. I'm using the Land Border Die set to showcase how you can use it in other ways then just creating a scene. I used it here o created a fun wavy border along the edge of my patten papers. I stamped the image onto some White card stock and colored it in with Copic Markers. I paper pieced the umbrella with some of the same patter papers and used the C Copics to add some shadows. Head over for a link to the video or you can watch below. Hi Holly! Thanks for the wonderful video today! I love all the details you added to the image and the umbrella too! So many great tips!